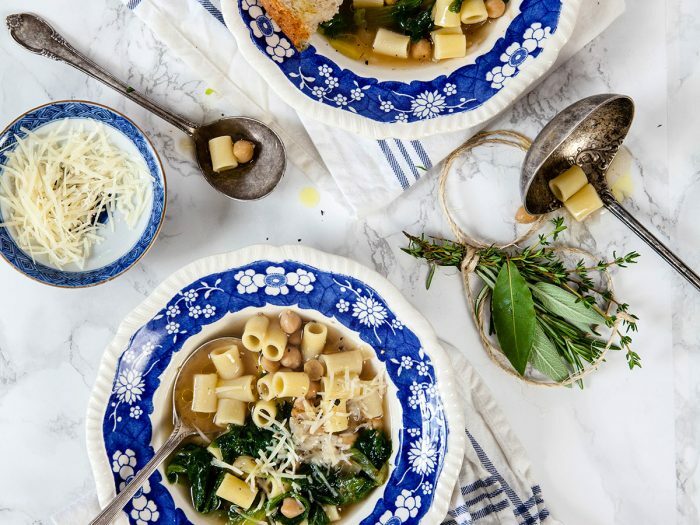 Chickpea and Escarole SoupThis Chickpea and Escarole Soup only takes 30 minutes to make, but it packs a huge punch of flavor. The perfect for a weeknight dinner for your family! 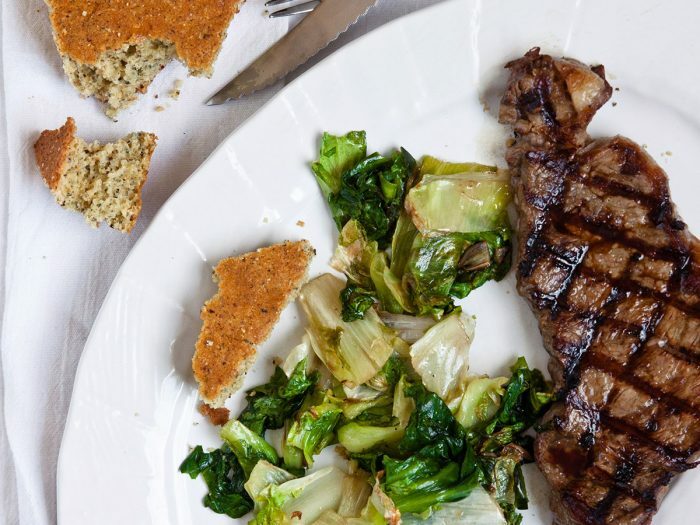 Strip Steak with Wilted Escarole and CornbreadThis strip steak with wilted escarole and cornbread is the flavorful nutritious meal you can make any day of the week. Meal lovers rejoice! 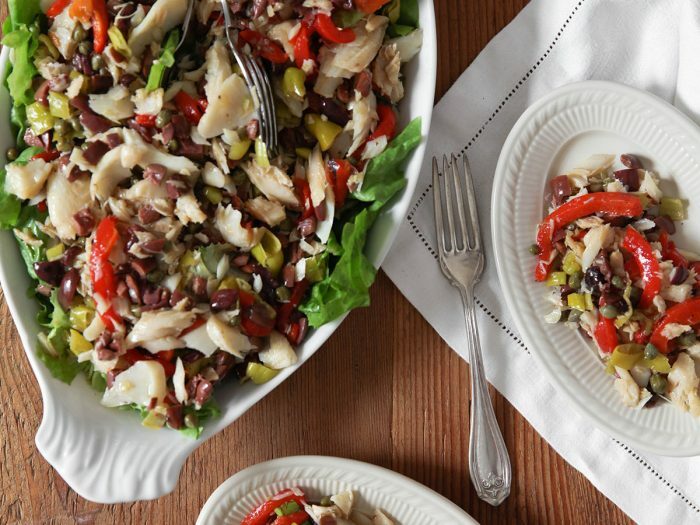 Baccala SaladA wonderful addition to your Festa dei Seitte Pesci table, or a hearty salad for any day of the week, this salad shouldn't only be for special occasions. One Pot Winter Veggie PastaThis vegetable pasta is made in one pot, which means only one dish to wash! 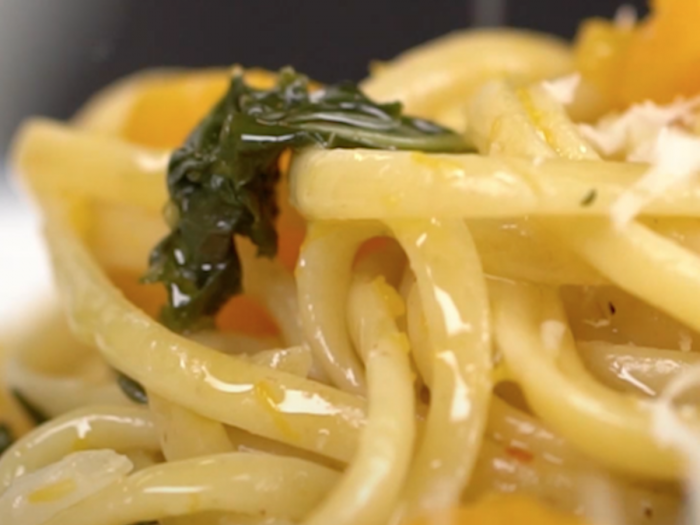 Buy pre-cut squash to make dinner even faster and easier. Braised Escarole with Pine Nuts and CurrantsThe sharp flavor of escarole pairs well with the sweet currants and buttery pine nuts in this quick braise. Build on the mix with chopped anchovies, if you like. Tuscan Grain Bowl with Grilled Chicken and BroccoliniA quick pesto-like sauce brings this bowl together and adds summery flavor. Crisp garlic slivers are a fun crunchy element.